Most teachers believe in some form of learning styles or multiple intelligences theories. The notion that each child learns differently, so we should adjust instruction accordingly (learning styles) just seems like such good old-fashion common sense. The theory that each child has different innate abilities (multiple intelligences) just seems to be confirmed by common experience. But common sense and experience are otten untrustworthy and unreliable guides to good teaching. Despite what we’ve thought or heard about why we should be teaching to learning styles and multiple intelligences, these brain-based teaching approaches are simply without merit. Here are five reasons why. 1. We don’t know enough about how the brain works to change the way we teach. What we do know about the brain suggests that catering instruction to specific modalities can be counter-productive. Knowledge is stored in the form of memories and only 10% of those memories are visual and auditory representations. Meaning-based memories make up the 90% (Willingham on Learning Styles Don’t Exist–TeacherTube). Those impressive-looking illustrations of the brain on the Universal Design for Learning site and interesting graphic organizers on the multiple intelligences sites hopelessly simplify what we know is a far more complex subject. Daniel T. Willingham, cognitive psychologist and neuroscientist at the University of Virginia advises districts, schools, and teachers to “save your money” on any brain-based instructional in-services or instructional resources. See Willingham’s excellent YouTube video on the fallacy of brain-based instruction. Another great one is a Ted Talk by Tesia Marshik, Assistant Professor of Psychology at the University of Wisconsin. 2. Research does not support adjusting instruction according to learning styles or multiple intelligences theories. To sum up his extensive meta-analysis of modality research, Willingham states “…we can say that the possible effects of matching instructional modality to a student’s modality strength have been extensively studied and have yielded no positive evidence. If there was an effect of any consequence, it is extremely likely that we would know it by now (American Educator 1995).” With respect to research on multiple intelligences, “The fundamental criticism of MI theory is the belief by scholars that each of the seven multiple intelligences is in fact a cognitive style rather than a stand-alone construct (Morgan, 1996). Morgan, (1996) refers to Gardner’s approach of describing the nature of each intelligence with terms such as abilities, sensitivities, skills and abilities as evidence of the fact that the “theory” is really a matter of semantics rather than new thinking on multiple constructs of intelligence (http://www.indiana.edu/~intell/mitheory.shtml),” Frankly, the essential variables of motivation, preference, teacher perception, and the learning tasks themselves probably cannot ever be isolated in an experimental design, thus prohibiting statistically significant conclusions regarding how students learn best and how teachers should teach. 3. Learning styles and multiple intelligences theories beg the question about how students learn. The assumption is that students learn best by receiving instruction in their strongest modality or intelligence. This may make sense for designated hitters in the American League. Allow me to explain. In the American League, pitchers rarely bat; instead, designated hitters bat for them. The designated hitter does not play in the field. It would make sense for the designated hitter to practice according to his modality strength. Developing kinesthetic expertise in slugging home runs will earn him his multi-millions. But exclusive kinesthetic batting practice will not help him become a better fielder. There is no learning transfer. We certainly don’t want designated hitters in our classrooms. We want students to be complete ballplayers. In fact, it makes more sense to practice our relative weaknesses. Why should kinesthetically adept Johnny continue to make project after project rather than practicing in his areas of relative weakness: oral (auditory, aural) and written (visual) communication? 4. By emphasizing the how of instruction, learning styles and multiple intelligences practitioners lose sight of the what of instruction and tend to force square blocks into round holes. For teaching input to be processed and stored in the memory, that input has to match how the information will be stored. Little of what we teach will be stored as visual or auditory representations. This does not mean that good teaching won’t use the visual or auditory domains, but the focus of most all of our instruction is meaning-based. We want our students to know stuff. We have to match the how of instruction to the what of instruction, not the reverse. “All students learn more when content drives the choice of modality (Willingham in American Educator 1995).” It should go without saying that if a child has, for example, an auditory processing disability, the how of instruction should be limited in that modality. Similarly, adapting learning tasks to perceived student intelligences is impractical for the vast majority of our teaching standards. A student with musical intelligence still needs meaning-based practice to understand the roles of the executive, legislative, and judicial branches of government. 5. Although learning Styles and multiple intelligences theories seem individual-centered and egalitarian on the surface, the converse is more likely true. The practical applications of these theories tend to pigeon-hole students and assume that nature plays a greater role in learning than does nurture. For example, teachers disproportionately tend to label African-American children, especially boys, as kinesthetic learners and Asian kids are more often classified as visual learners. 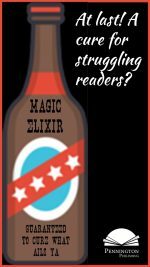 Being labeled limits options and dissuades effort and exploration. Learning styles and multiple intelligences assessments particularly have this egregious effect. Our students are not stupid. Labeling them as “good at” and “has strengths in” also labels them as “bad at” and “has weaknesses in.” Students “shut down” to learning or “self-limit” their achievement with such labels. If limited to what the students know and don’t yet know, assessments data can be productive. If extended to how students learn, data can be debilitating. Additionally, who is to say that how a student learns remains a constant? Teachers certainly have an important role in nurturing motivation, risk-taking, and exploration. Teachers should be about opening doors, not closing doors. Unfortunately, the differentiated instruction movement has largely adopted learning style and multiple intelligence theories. Check out why differentiated instruction should be more about the what and less about the how in 23 Myths of Differentiated Instruction. As we move ahead in the Response to Intervention process, this subject of how to best serve students with learning challenges is especially relevant. 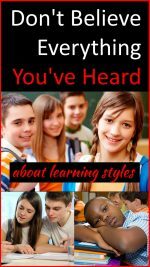 Readers may also wish to check out the author’s introductory article: Learning Styles Teaching Lacks Common Sense. When we talk about differentiating instruction for struggling readers, we need to allow the data to drive our instruction. Good assessments can provide the what must to be learned by each student. The how may be small group instruction, guided reading, readers workshop, literacy centers, individual tutoring, and/or direct instruction. A variety of instructional methodologies work well, but they must be informed by data. Different strokes for different folks. What works for you doesn’t necessarily work for me. These sayings appeal to our American ideals of individualism and equality, don’t they? And they certainly seem to apply to how we think we should teach. Our assumption is that we all learn differently so good teachers should adjust instruction to how students learn. Specifically, we assume that some students are better auditory (or aural) learners, some are better visual learners, and some are better kinesthetic learners. Or add additional modalities or intelligences to the list, if you wish. All we need to do to maximize learning is to adjust instruction to fit the modality that best matches the students’ learning styles or intelligences. It just seems like good old-fashioned common sense. However, common sense is not always a trustworthy or reliable guide. 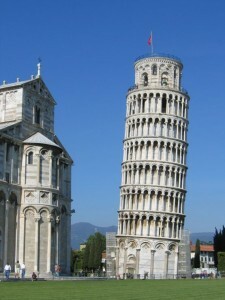 Galileo once challenged Aristotle’s wisdom and the popular consensus of two millennia that objects fall at different rates, depending upon their bulk. 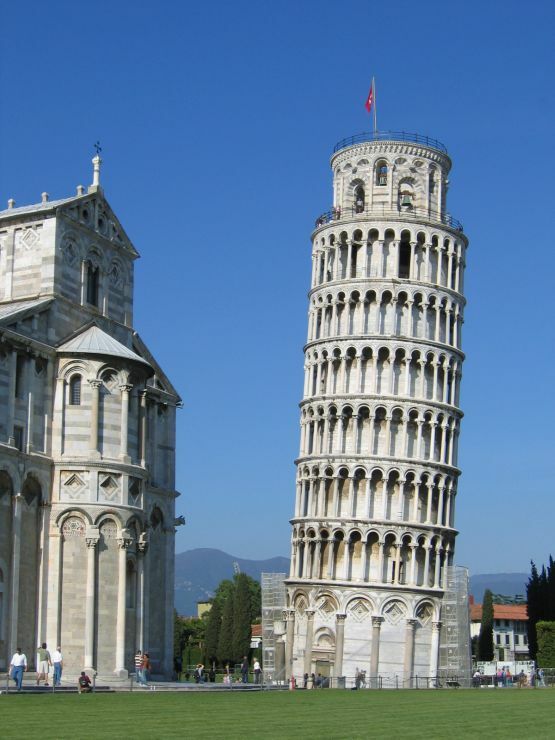 Galileo climbed to the top of the leaning tower of Pisa and dropped a tiny musket ball and a huge canon ball at the same time. Defying common sense, those objects reached ground at the same time. Even today, ask most people whether a nickel or computer would hit the ground first. Most would still pick the computer. Teachers encounter counter-intuitive examples in teaching all the time: a not-so-bright student whose parents both have master’s degrees, a student with high fluency but low comprehension, an administrator who has never taught in a classroom. These anomalies just don’t make sense, but they happen quite frequently. In fact, before recent IDEA legislation, students with demonstrated learning problems could not qualify for special education unless there was an established discrepancy between ability and performance. In other words, unless the student’s learning disability challenged our notions of common sense, the student could not qualify for special education services. Most teachers will say that they believe in some form of learning style or multiple intelligences theory. Most will say that they attempt to adjust instruction to some degree to how they perceive students learn best. Many use modality assessments to guide their instructional decision-making. This is particularly true within the special education community. Although there probably has been some change, Arter and Jenkins (1979) found that more than 90% of special education teachers believe in modality theory. These assumptions are especially relevant as special education teachers assume lead roles in the expanded Response to Intervention models, especially with respect to the three-tiered instructional model. But these common sense assumptions are simply wrong for the most part. To understand why, we need to define our terms a bit. When we talk about how our students learn we need to consider three components of the learning process. First, the learner accesses input, that is teaching, through sensory experiences. Next, the learner makes meaning of and connects that new input to existing knowledge and experience. Finally, that learner stores this input into the short and long term memories. Now, this learning process is not the same as knowledge. Learning (the verb) leads to knowledge (the noun). And knowledge is not how students learn. Knowledge is what students learn. Knowledge is stored in the memory. Knowledge = memory. Memory includes everything and excludes nothing. It even includes learning how to learn. We have no separate data bases. So how is knowledge (memory) stored in the brain? According to cognitive scientists, 90% of the memory is meaning-based. Only 10% of the memory consists of visual or auditory representations (Willingham 2009). These percentages do reflect what we teach. Most everything we teach is meaning-based. So, shouldn’t we focus our teaching energies on matching how we teach to how the knowledge is stored? Let’s start with the 10%. If knowledge will be stored as an auditory memory, teaching should emphasize this modality. For example, if band students are learning how to tune their instruments, they need to listen to and practice hearing the sound waves, not necessarily see a spectrograph or understand the complexities of how sound is produced. Or if students are learning to read with inflection, they need to hear good models of inflection and mimic those models. Both sound waves and reading inflection knowledge are stored primarily as auditory memories. To tune their instruments, band students will access their auditory memories of wave sounds and apply this knowledge to raising or lowering the pitch of their instruments. To read with inflection, students will recall the rhythm, emphasis, and altered voices of modeled readings and apply this knowledge to reading in front of the class. And now the balance of the 10%. If knowledge will be stored as a visual memory, teaching should emphasize this modality. For example, if art students are learning the color spectrum, they need to see and practice the colors with their various hues, not just memorize ROY G BIV (red, orange, yellow, green, blue, indigo, and violet). Or if students are memorizing the locations of the states, they will need to see and practice their shapes, sizes, and relationships to other states on political and/or physical maps. Both colors and the locations of states are stored primarily as visual memories. To draw an apple from memory, art students will access their visually stored memories of various hues of red and/or other colors and apply this knowledge to their watercolor. To pass the map test, students will recall the images of the political and/or physical maps and correctly label the states. And finally to the 90%. These meaning-based memories are stored independent of any modality-“not in terms of whether you saw, heard, or physically interacted with the information.” (Willingham 2009). If knowledge will be stored in the memory as meaning, teaching should be designed to emphasize this outcome. For example, if history students are learning the three branches of the federal government and the system of checks and balances, they need to understand the meanings of the terms: legislative, executive, and judicial as well as the specific limitations of and checks on powers that the framers of the Constitution designed to ensure balance and prevent abuse. Good teaching would emphasize both rehearsal and application of this information to ensure understanding. This would, of course, necessitate using the auditory (or aural) modality. It would also certainly be appropriate to use the visual modality by drawing the three-branch tree with each branch representing the divisions of government. However, most of the learning process will necessitate memorizing how, what, where, when, and why facts through meaning-storage strategies and techniques (such as repetition), establishing cognitive connections to prior knowledge and experiences with plenty of appropriate examples, and practicing trial and error feedback through class discussion, reading, and writing. Whew! Complex, meaning-based stuff. On the test, students will not access memories of the teacher’s lecture voice or the teacher’s tree drawing to answer the multiple-choice questions. Students will recall meaning-based memories derived from teaching that appropriately matches the content to be learned. If 90% of what our students learn is meaning-based, why waste limited planning and instructional time fixating on the 10%? Now that’s good old-fashioned common sense. A little knowledge is a dangerous thing… especially in education. We teachers tend to bandwagon on many of the latest, greatest teaching trends. Remember those impressive-looking illustrations of the brain on the Universal Design for Learning site from a few years back and the interesting graphic organizers on the multiple intelligences sites? Or the brain-based strategies that were all the rage? We tend to hopelessly simplify what are complex subjects. What we know about the brain is still in its infancy. Daniel T. Willingham, cognitive psychologist and neuroscientist at the University of Virginia advises districts, schools, and teachers to “save your money” on any brain-based instructional in-services or instructional resources. According to Willingham, meaning-based memories make up the 90% of our memory. Visual and auditory memories are a small chunk of the rest. See Willingham’s excellent YouTube video on the fallacy of brain-based instruction. Another great one is a Ted Talk by Tesia Marshik, Assistant Professor of Psychology at the University of Wisconsin. So, when we talk about differentiated instruction, especially in reading response to intervention, let’s be careful to focus on what needs to be taught or re-taught, and less on how it needs to be taught. 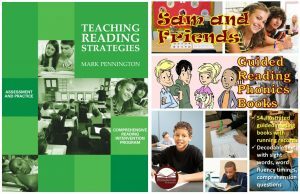 Mark Pennington, MA Reading Specialist, is the author of the comprehensive reading intervention curriculum, Teaching Reading Strategies. Designed to significantly increase the reading abilities of students ages eight through adult within one year, the curriculum is decidedly un-canned, is adaptable to various instructional settings, and is simple to use–a perfect choice for Response to Intervention tiered instruction. The program provides multiple-choice diagnostic reading and spelling assessments (many with audio files), phonemic awareness activities, blending and syllabication activities, phonics workshops with formative assessments, 102 spelling pattern worksheets, comprehension worksheets, multi-level fluency passages recorded at three different reading speeds and accessed on YouTube, 644 reading, spelling, and vocabulary game cards, posters, activities, and games.